What do you do when you feel like an alien, and you're not sure where you're going? A listener wrote in to ask about life after the Saturn Return. 👽♄ A Full Moon, participation in the real world, and Venus transits grace this week's horoscope. Join Jessica as she talks about the transits of the week ahead. →Donate to support victims of the New Zealand mosque shootings (https://givealittle.co.nz/cause/christchurch-shooting-victims-fund) . ♥️ To read your weekly horoscope or to send your question to be answered by Jessica on the podcast, visit lovelanyadoo.com. 👻🎧 Love Ghost of a Podcast? Sure you do! Now you can support it on Patreon. 📱Download Tiny Spark to your iOS device. A listener wrote in to ask for advice in dealing with hard aspects in the birth chart, her mental health, and help figuring out her purpose More Mercury Retrograde madness, forgiveness, and priorities are all on the table in the horoscope corner of the podcast. 📞You're not alone. If you're struggling and need help - •Text CONNECT to 741741 in the USA or 686868 in Canada and a live, trained Crisis Counselor will receive your text and will offer aid. •Text, talk, or chat with someone in Canada at http://www.crisisservicescanada.ca/ •In the USA the Suicide Hotline has English & Spanish services 800-273-8255 ♥️ To send your question to be answered on the podcast and for more horoscopes, visit lovelanyadoo.com. 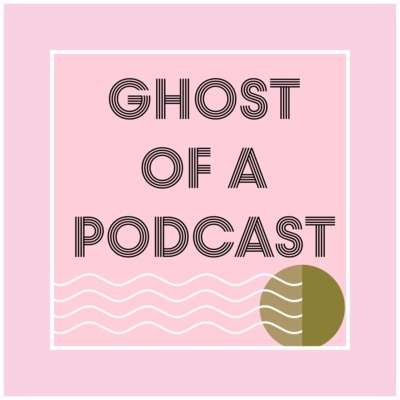 👻🎧 Love Ghost of a Podcast? Sure you do! Now you can support it on Patreon. 📱Download Tiny Spark to your iOS device. Breaking up is hard to do. A listener wrote in to ask how a sensitive person can do what she knows will hurt others, and Lanyadoo has answers. This week's horoscope unpacks this month's Mercury Retrograde, and the personal as well as the societal potential that it yields. Plus, get ready to charge your crystals - it's a New Moon this week in mystical Pisces! ♥️ To send your question to be answered on the podcast and for more horoscopes, visit lovelanyadoo.com. 👻🎧 Love Ghost of a Podcast? Sure you do! Now you can support it on Patreon. 🔮For more weekly astrology, watch Lanyadoo get deep on TLC's new Facebook Watch series, Stargazing . New episodes drop every Monday! www.facebook.com/TLCStargazing/ 📱Download Tiny Spark to your iOS device. Lanyadoo is back to answering listeners questions this week, and she gives advice on how to deal with a listener's compulsive tendencies as she struggles with an eating disorder. In the astrology section of GOAP Jessica gives some Mercury Retrograde advice, and explores relationships and growth. ➜Here are some resources to check out if you or someone you care about is struggling with an eating disorder:⬇︎ ‣Check out Needa or your local chapter of Overeaters Anonymous, or to go to remote meetings by phone, check out this link. ‣I love Marcella Raimondo's list of links as they include resources that are specifically for POC, trans folks as well as queer folks. ‣Follow Virgie Tovar and Jameela Jamil on social media. ‣If you or someone you know is struggling with suicidal thoughts, there's always help available to you. ♥️ To send your question to be answered on the podcast, for more weekly and monthly horoscopes, and to read your 2019 Year Ahead horoscope, visit lovelanyadoo.com. 👻🎧 Love Ghost of a Podcast? Sure you do! Now you can support it on Patreon. 🔮For more weekly astrology, watch Lanyadoo get deep on TLC's new Facebook Watch series, Stargazing . New episodes drop every Monday! www.facebook.com/TLCStargazing/ 📱Download Tiny Spark to your iOS device. A listener asks how to know when pushing yourself to be more forgiving is good versus when you're expecting too much from yourself. From a Saturn sextile to Neptune to a Mars conjunction to Pluto, Jessica's got you covered with this week's horoscope! Download Tiny Spark to your iOS device (it's free!). 👻🎧 Love Ghost of a Podcast? Sure you do! Now you can support it on Patreon. 🔮For more weekly astrology, watch Lanyadoo get deep on TLC's new Facebook Watch series, Stargazing . New episodes drop every Monday! www.facebook.com/TLCStargazing/ ♥️ For more weekly and monthly horoscopes, your 2019 Year Ahead horoscope through the signs + other Lanyadoo magic, visit lovelanyadoo.com. This week Jessica answers six different listener questions, and touches on love, astrology, and hard times. This week's horoscope has lots to keep track of: the Full Moon/ Lunar Eclipse on the 20th is going to kick up powerful emotions, and while it's an excellent opportunity for healing, it's also likely to come with some challenges. Download Tiny Spark to your iOS device (it's free!). 👻🎧 Love Ghost of a Podcast? Sure you do! Now you can support it on Patreon. 🔮For more weekly astrology, watch Lanyadoo get deep on TLC's new Facebook Watch series, Stargazing . New episodes drop every Monday! www.facebook.com/TLCStargazing/ ♥️ For more weekly and monthly horoscopes, your 2019 Year Ahead horoscope through the signs + other Lanyadoo magic, visit lovelanyadoo.com. A listener wrote in to ask if her powerful connection with her ex might be a Twin Flame. This week's horoscope brings up compulsion, heavy thinking, and potential for major breakthroughs! Leverage the planetary weather forecast for living your best life. Download Tiny Spark to your iOS device (it's free!). 🔮For more weekly astrology, watch Lanyadoo get deep on TLC's new Facebook Watch series, Stargazing . New episodes drop every Monday! www.facebook.com/TLCStargazing/ ♥️ For more weekly and monthly horoscopes, your 2019 Year Ahead horoscope through the signs + other Lanyadoo magic, visit lovelanyadoo.com. 👻🎧 Love Ghost of a Podcast? Sure you do! Now you can support it on Patreon. It's Jessica's birthday! In this episode she talks about aging, having a face, and the value of fear. In the horoscope corner, Lanyadoo does a little Uranus in Aries check in and offers you tools for this week's somewhat bumpy astrological ride. Want to give Jessica a birthday present? Here's her wish list: ✔︎Donate to RAICES, a nonprofit agency that promotes justice by providing free and low-cost legal services to underserved immigrant children, families, and refugees. ✔︎Donate to the ACLU, who play a leadership role in challenging efforts to undermine the Constitution and trample on people's constitutional rights. Download Tiny Spark to your iOS device (it's free!). 🔮For more weekly astrology, watch Lanyadoo get deep on TLC's new Facebook Watch series, Stargazing . New episodes drop every Monday! www.facebook.com/TLCStargazing/ ♥️ For more weekly and monthly horoscopes, your 2019 Year Ahead horoscope through the signs + other Lanyadoo magic, visit lovelanyadoo.com. 👻🎧 Love Ghost of a Podcast? Sure you do! Now you can support it on Patreon. A listener wrote in at a loss with how to deal with her family, and Lanyadoo gives her advice to help her cope. This week's horoscope reminds us that we're all connected. Download Tiny Spark to your iOS device. Share your answers @ Jessica on social when you do! For more weekly astrology, watch Lanyadoo get deep on TLC's new Facebook Watch series, 🔮Stargazing . New episodes drop every Monday! www.facebook.com/TLCStargazing/ 👻🎧Love Ghost of a Podcast? Sure you do! Now you can support it on Patreon ♥️ For more weekly and monthly horoscopes + Lanyadoo magic, visit lovelanyadoo.com. Feeling distressed and in need of help? Suicide Hotline 800-273-8255 OR Text CONNECT to 741741 in the USA or 686868 in Canada and a live, trained Crisis Counselor will receive your text and will offer aid. A listener's mom passed away less than six months ago, and she isn't sure how to cope. Lanyadoo shares her gifts as a Medium in this special episode. In the astrology corner, it's time to unpack this week's horoscope, including a full moon ritual to help you bring closure to 2018. For more weekly astrology, watch Lanyadoo get deep on TLC's new Facebook Watch series, 🔮Stargazing . New episodes drop every Monday! https://www.facebook.com/TLCStargazing/ Please support Families Belong Together. They are on the ground with the refugee caravan in Tijuana. They’ve set up this fund to support the brave asylum-seekers, and are coordinating with organizations on the ground who are providing resources to address the most pressing needs. ♥︎ Give what you can here :secure.actblue.com/donate/refugeecaravanaid Love Ghost of a Podcast? Sure you do! 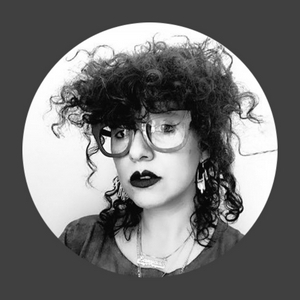 Now you can support it on Patreon 👻🎧!www.patreon.com/JessicaLanyadoo For more horoscopes & Lanyadoo magic, visit ♥️www.lovelanyadoo.com. A listener is having a hard time with relationship stress during the holidays. Lanyadoo gives practical advice for staying present when you'd rather bolt. This week's Lanyadoo focuses on Jupiter in Sagittarius, and how to use astrology wisely. Please support Families Belong Together. They are on the ground with the refugee caravan in Tijuana. They’ve set up this fund to support the brave asylum-seekers, and are coordinating with organizations on the ground who are providing resources to address the most pressing needs. Give what you can here: https://secure.actblue.com/donate/refugeecaravanaid Love Ghost of a Podcast? Support it on Patreon 👻🎧! www.patreon.com/JessicaLanyadoo Please share, like, and subscribe and for more Lanyadoo magic go to www.lovelanyadoo.com. Lanyadoo offers helpful tips and birth chart advice for coping with sleep problems. In the astrology corner Lanyadoo explores fear of success, and how to cope with it. Use this week's horoscope to help you light up your life and glow up. Love Ghost of a Podcast? Support it on Patreon 👻🎧! www.patreon.com/JessicaLanyadoo Please share, like, and subscribe and for more Lanyadoo magic go to www.lovelanyadoo.com. A listener wrote in to ask how astrologers decide what’s important to tell their clients. And in the Astrology Corner of the podcast, Lanyadoo talks about the emo Full Moon just in time for Thanksgiving. Please consider donating to IITC (the International Indian Treaty Council) to support their work for human rights, environmental health, treaties, and food sovereignty. ♥ https://www.iitc.org/support-our-work/ ♥ Love Ghost of a Podcast? Support it on Patreon 👻🎧! www.patreon.com/JessicaLanyadoo Please share, like, and subscribe and for more Lanyadoo magic go to www.lovelanyadoo.com. What should you believe in, and how can you know what's right, when things feel wrong? A listener reaches out to Lanyadoo with some tender questions about love and fear of getting hurt. In the astrology corner of the podcast, Lanyadoo explores the Venus Retrograde, gender, spirituality, and ex's. This week's horoscope marks a shifting of tides. Love Ghost of a Podcast? Support it on Patreon 👻🎧! www.patreon.com/JessicaLanyadoo Please share, like, and subscribe and for more Lanyadoo magic go to www.lovelanyadoo.com. A listener wrote in this week on the verge of shutting down and giving up. Lanyadoo looks at her chart and gives practical advice to help her make it through. This week's horoscope delves into some uncomfortable territory that you'll be all the better for exploring. Love Ghost of a Podcast? Support it on Patreon 👻🎧! https://www.patreon.com/JessicaLanyadoo Please share, like, and subscribe + for more Lanyadoo magic go to www.lovelanyadoo.com. Lanyadoo gives Heather Matarazzo an astrology reading and checks in with a lost loved one. Then it's horoscope time again. Come for the pep-talk, stay for the practical advice that astrology yields. Support the podcast 👻🎧! Anchor makes it easy, fast, and secure. You can make recurring monthly payments of $0.99, $4.99, or $9.99. Just tap the button, enter your information, and the charge is processed. You will get a confirmation email each month notifying you of your donation. Share, like, and subscribe, and for more magic go to www.lovelanyadoo.com. Lanyadoo answers a handful of listener questions about how astrology works. Stick around for your full moon horoscope to help you make the most of the week ahead. Support the podcast 👻🎧! Anchor makes it easy, fast, and secure. You can make recurring monthly payments of $0.99, $4.99, or $9.99. Just tap the button, enter your information, and the charge is processed. You will get a confirmation email each month notifying you of your donation. Share, like, and subscribe, and for more magic go to www.lovelanyadoo.com. Lanyadoo is joined by a special guest to talk about spirituality and astrology, while noshing on cookies. Support the podcast 👻🎧! Anchor makes it easy, fast, and secure. You can make recurring monthly payments of $0.99, $4.99, or $9.99. Just tap the button, enter your information, and the charge is processed. You will get a confirmation email each month notifying you of your donation. Learn astrology, and you basically learn you. Share, like, and subscribe, and for more magic go to www.lovelanyadoo.com. Should you stay in a relationship after your trust has been broken? The Q&A gets personal this week as Lanyadoo calls a listener to talk it out over an astrology reading. In the Horoscope Corner of GOAP, Lanyadoo gives you a sneak peek into the week ahead. Support the podcast 👻🎧! Anchor makes it easy, fast, and secure. You can make recurring monthly payments of $0.99, $4.99, or $9.99. Just tap the button, enter your information, and the charge is processed. You will get a confirmation email each month notifying you of your donation. Learn astrology, and you basically learn you. For more magic go to lovelanyadoo.com. Everything you want to know about Venus Retrograde: what it means, how to make use of it, and what to avoid. This episode explores values, money, love, sensuality, self esteem, and current events. Learn astrology, and you basically learn you. For more magic go to lovelanyadoo.com. Support the podcast 👻🎧! Anchor makes it easy, fast, and secure. You can make recurring monthly payments of $0.99, $4.99, or $9.99. Just tap the button, enter your information, and the charge is processed. You will get a confirmation email each month notifying you of your donation. Thank you for supporting the work and helping to keep Ghost of a Podcast ad-free & as weird as you please ❤️. How much chill is too much? A listener asks about her energy level for what she's most passionate about, and Lanyadoo offers Pro Tips for finding peace with her pace. ☞ At the 15min mark it's horoscope time! Lanyadoo explores the astrology of our times and what we can best do about it and then explains down this week's horoscope. When the energies are explosive is when you most need to keep your center; tune in for your weekly does of the self-help advice you need to make the most of the planetary shifts. ☟ Want to support Ghost of a Podcast? Anchor makes it easy, fast, and secure. You can make recurring monthly payments of $0.99, $4.99, or $9.99. Just tap the button, enter your information, and the charge is processed. You will get a confirmation email each month notifying you of your donation. Thank you for supporting the work and helping to keep Ghost of a Podcast ad-free & as weird as you please ❤︎. It's easy to want to be kind, but cutting out your own pettiness is hard. This week a listener asks for advice about how to stop talking trash. As always, Lanyadoo offers you insight and practical tools for healing. ☞At the 15min mark it's horoscope time! Lanyadoo digs into Saturn in Capricorn and breaks down this week's horoscope. There's a lot going on in the stars, so tune in to make the most of the planetary shifts. ☟ Want to support Ghost of a Podcast? Anchor makes it easy, fast, and secure. You can make recurring monthly payments of $0.99, $4.99, or $9.99. Just tap the button, enter your information, and the charge is processed. You will get a confirmation email each month notifying you of your donation. Thank you for supporting the work and helping to keep Ghost of a Podcast ad-free & as weird as you please ❤︎. How do you know when it's time to leave a relationship? What if there are kids involved? This week Lanyadoo tackles those Qs for a listener, and as always, gives Pro Tips to help you to heal your relationships. Learn about Neptune and wholeness in astrology, plus nosh on Lanyadoo's bite-sized, easy to digest, and nutritional, take on this week's horoscope. ☟ Want to support Ghost of a Podcast? Anchor makes it easy, fast, and secure. You can make recurring monthly payments of $0.99, $4.99, or $9.99. Just tap the button, enter your information, and the charge is processed. You will get a confirmation email each month notifying you of your donation. Thank you for supporting the work and helping to keep Ghost of a Podcast ad-free & as weird as you please ❤︎. Come for your horoscope, stay for the life-changing advice! How much fun is too much fun? Lanyadoo answers a listener's question about how to handle her drinking. Next she breaks down how the Moon in astrology impacts your moods, just in time for this week's full Moon horoscope. ☟ Want to support Ghost of a Podcast? Anchor makes it easy, fast, and secure. You can make recurring monthly payments of $0.99, $4.99, or $9.99. Just tap the button, enter your information, and the charge is processed. You will get a confirmation email each month notifying you of your donation. Thank you for supporting the work and helping to keep Ghost of a Podcast ad-free & as weird as you please ❤︎. Everything is connected. A grieving listener wrote in to ask about life after death – for cats. Lanyadoo talks astrology and gives you your horoscope for August 19th through the 24th, and as always, offers easy-to-implement advice for making the most of this moment. ☟ Want to support Ghost of a Podcast? Anchor makes it easy, fast, and secure. You can make recurring monthly payments of $0.99, $4.99, or $9.99. Just tap the button, enter your information, and the charge is processed. You will get a confirmation email each month notifying you of your donation. Thank you for supporting the work and helping to keep Ghost of a Podcast ad-free & as weird as you please ❤︎. Astrology helps! Lanyadoo gives you your weekly horoscope, including some helpful homework to empower you make the most of the Mars Retrograde and other planetary shifts this week. At the 11:16 mark it's time for the Q & A Corner! This week's listener question is on how to heal from heartache. If you've been feeling grief stricken or broken hearted, Jessica offers you tools for healing. ☟ Want to support Ghost of a Podcast? Anchor makes it easy, fast, and secure. You can make recurring monthly payments of $0.99, $4.99, or $9.99. Just tap the button, enter your information, and the charge is processed. You will get a confirmation email each month notifying you of your donation. Thank you for supporting the work and helping to keep Ghost of a Podcast ad-free & as weird as you please ❤︎. Lanyadoo loves giving you advice to help you help yourself. In this episode of Ghost of a Podcast, Lanyadoo answers the question of how to cope with anxiety and fear. She gives practical tips for not just managing your feels, but leveraging them in a way that helps you live your very best life. ☟ Want to support Ghost of a Podcast? Anchor makes it easy, fast, and secure. You can make recurring monthly payments of $0.99, $4.99, or $9.99. Just tap the button, enter your information, and the charge is processed. You will get a confirmation email each month notifying you of your donation. Thank you for supporting the work and helping to keep Ghost of a Podcast ad-free & as weird as you please ❤︎. On August 11th, 2018 at 1:58amPST there's a Solar Eclipse in Leo. Lanyadoo gives you the 411 on what it all means and what you're meant to do with it. Tune in, like, share, and subscribe, lovers! Hi - I love you! In this, the very first episode of Ghost of a Podcast, Lanyadoo gives you your horoscope for the week ahead homework to help you help yourself.